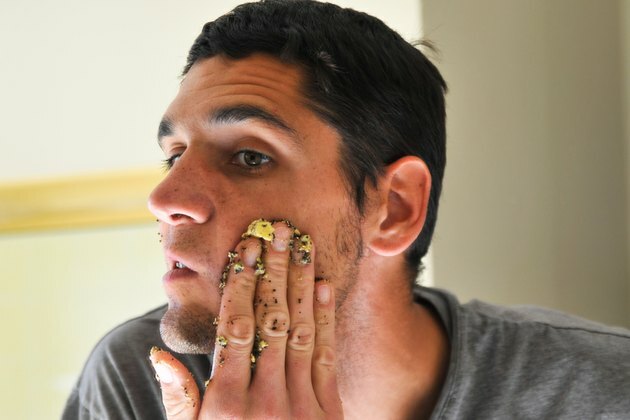 Exfoliation is an essential step in having a clear complexion. A good scrub will remove the top layer of dead skin cells, encouraging the production of new, healthy cells. A homemade scrub has many benefits. Most of the ingredients can be found in your kitchen cupboards, and it is easy to use. There are no harsh chemicals or additives; you know exactly what is going into it. In addition, a home scrub is more cost effective than a store-bought one. Sugar is a good ingredient to use in a scrub for acne because it is less harsh than some other exfoliating ingredients such as shells or nuts. It melts quickly so you won't over scrub your skin. 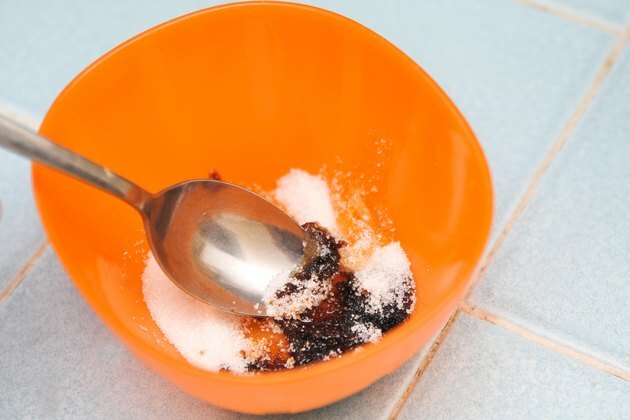 To make a brown sugar scrub, mix together light brown sugar and honey. 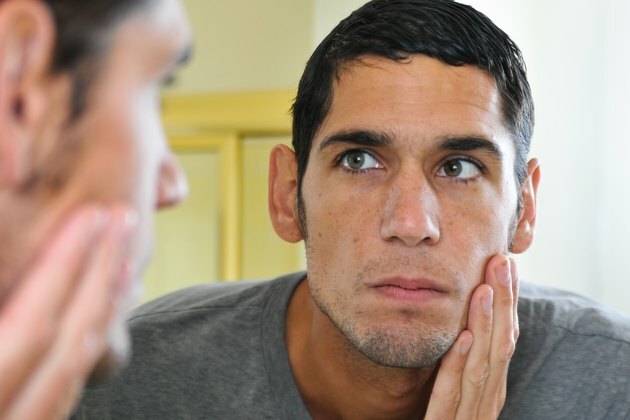 Since it is not a good idea to use oil on acne prone skin, avoid adding any oil to the mixture. Scrub gently in circular motions and rinse. The experts at Free Beauty Tips suggest the use of salt as a main ingredient in an acne scrub. To make, combine kosher salt, honey, vanilla extract and cocoa powder. Mix and match to make your favorite scent -- even add coffee or chocolate instead of cocoa. For an even simpler recipe, just mix sea salt with water and use to gently scrub the face. Oatmeal is ideal in the use of a homemade scrub because it is not drying or harsh like some other acne scrubs. It is simple to make and leaves skin smooth. Not only will this exfoliate skin, but it will rid the pores of excess oil as well. Combine warm water, oatmeal and honey. 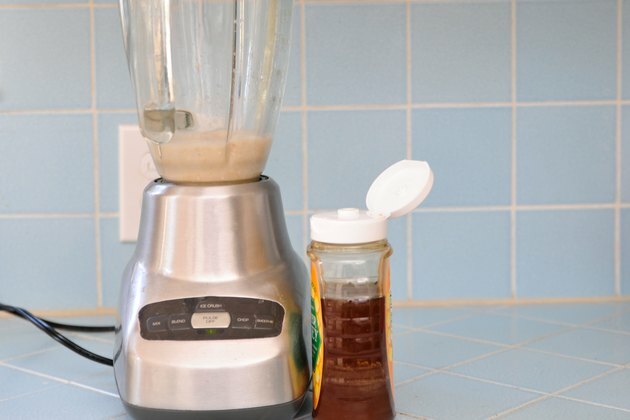 Mix in a blender until smooth. Scrub skin gently and rinse. Store the remainder of scrub in an air tight container. Baking soda is perfect for an exfoliating scrub. It is coarse but not too harsh on sensitive skin. It removes dead skin and does not cause irritation. Baking soda may help relieve the redness of acne. To make, mix baking soda with water until a paste forms. Scrub the skin gently and then leave on for about one minute. Rinse well and pat dry. If skin is red after use, limit the scrub to nighttime application until your face becomes adjusted. Coffee is another good ingredient in an acne scrub. The caffeine invigorates skin. In addition, it is a natural oil reducer, making it the perfect addition to an acne regimen. To make a scrub, simply mix up mashed avocado with ground coffee. This is especially pleasant for coffee lovers because the aroma will linger on your skin even after being washed off.